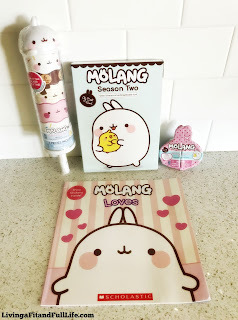 Living a Fit and Full Life: Molang: Season 2 from NCircle Has Arrived! Free Printable Activity Pages + Giveaway! Molang: Season 2 from NCircle Has Arrived! Free Printable Activity Pages + Giveaway! Molang loves lots of things... like dressing up in silly costumes and watching movies and taking pictures and, of course, going to parties! Today Molang and Piu Piu are going to a party at a friend's house, but Piu Piu is having a bad feather day! Looks like it's up to Molang to cheer Piu Piu up. Because if there's one thing Molang loves more than anything, it's Piu Piu. Don't miss this beautiful storybook, which comes with a sheet of shiny foil stickers! Fun Molang Toys Kids Will Love! Molang Push N’ Peel Surprise Pop! 6 Layers Of Surprise Fun! Click HERE for free printable activity pages! Molang: Season 2 from NCircle has arrived and it's a huge hit with my kids! I have four kids from two to ten years old that absolutely love Molang. I'm surprised it's such a hit with a wide variety of ages like it is but after watching just a few minutes I quickly understood why. 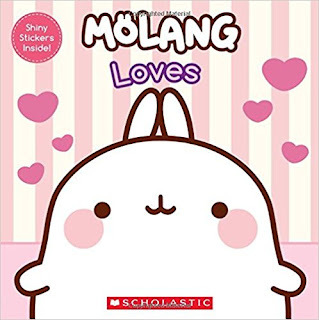 Molang: Season 2 from NCircle is all about friendship and fun and with 52 lovable adventures, kids can join in on the fun and adventure. The characters are adorable and the adventures are very entertaining. 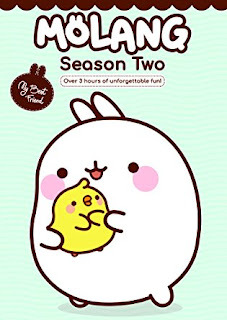 Molang: Season 2 from NCircle is a great show for kids and my family and I highly recommend it!